Although marble in itself is pretty stately by looks, it is the Bruno White marble, among other marble shades, which has the most royal appearance. The naturally occurring grey surface patterns, basically some sort of impurities, beautifully complement its subtle white background. 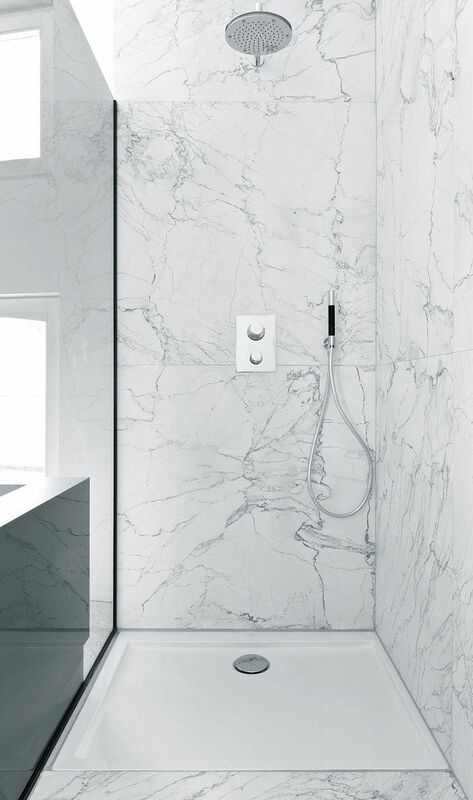 Quite an extremely popular material for interior designing, Bruno White marble gracefully blends with other interior components, regardless of their color and style. In other words, it is one such natural stone that can be confidently used to uplift classic as well as modern décor. We, at Regatta Universal Exports is a leading supplier an d exporter of Bruno White marble and offer this stunning natural stone products in a variety of designs, shapes, styles, sizes, finishes and thickness both in standard as well customized dimensions. You can also consider buying Bruno White marble slabs and tiles; probably the most sought after white marble products used for flooring and to create countertops. With Regatta, you can be assured of high Bruno White marble quality, competitive prices along with fast and safe deliveries. Apart from its aesthetic qualities, Bruno White marble has one more advantage. Although this white marble is quite strong and doesn’t get chip or etch easily, white marble’s light to dark grey veining patterns easily disguises minor chip and etches; unlike many dark-color marbles and other natural stones. 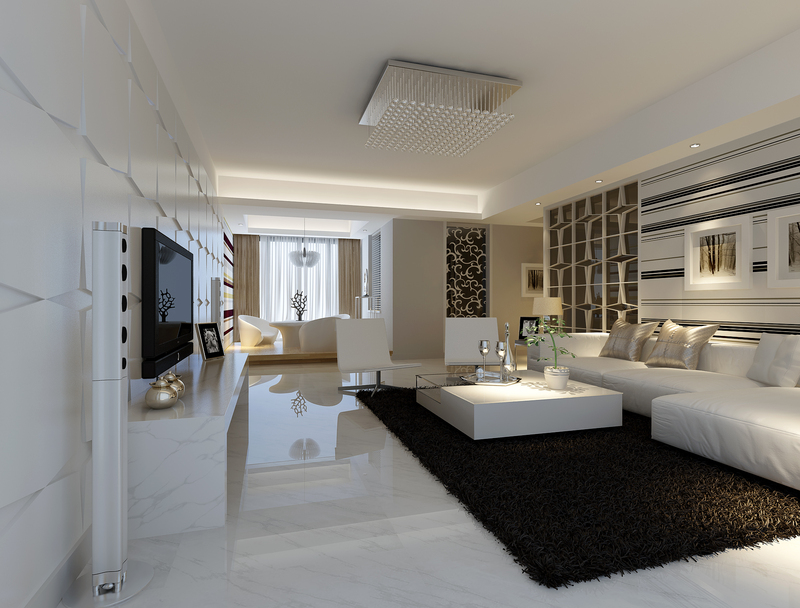 It is a general notion that white stones like Bruno White marble require high maintenance and intense care. Nevertheless, this is not absolutely wrong as white marble gets easily stained or etched by acidic liquids, solvents, etc., which at times become hard to remove or causes permanent damage to the marble surface. Needless to say, white marble always requires some extra care and maintenance to maintain its integrity for long. By taking little precaution, one can easily preserve the shiny and clean looks of while marble for many more years to come. Aging Brings Beauty to White Marble, But Only for Natural Stone Lovers: Natural stones, especially white marble tend to worn out with time and age. This feature alters the look of the marble; giving it a slightly old look. 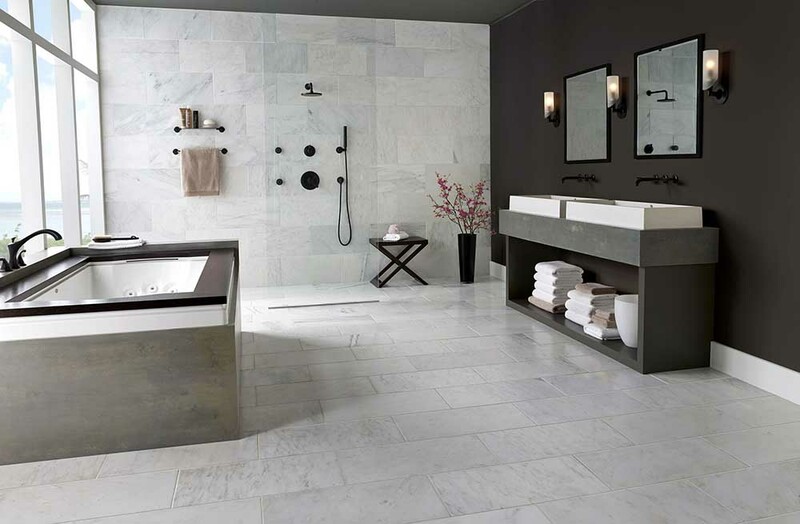 While many among us won’t consider this as a positive change in marble, it actually makes true natural stone lovers happy and satisfied for choosing white marble for their homes. In other words, it can be said that the natural charm of natural stone can be experienced only after it ages. A Mere Finish Can Bring a Lot of Change in Marble: Though the traditional “polished” finish is an all-time hit, a relatively new “honed” finish has gained popularity among designers and homeowners in recent years. Incidentally, both the finishes come with some advantages and disadvantages; hence you should choose it wisely only after considering your requirements. For instance, polished white marble easily resists stains, but any etch on its surface can be easily noticeable. On the other hand, honed white marble doesn’t look as amazing as the polished one, but can easily hide inconspicuous stains or etches. Factors that Damage White Marble are Easily Avoidable: With just a little attention and by taking several precautionary measures, one can easily prevent common damages to Bruno White marble. Spills of oils, wines, lemons and acidic foods should be removed as soon as they fall on marble surfaces. Moreover, all spills should be wiped off instantly using a soft cotton cloth and mild soap solution, if required. Prevention is Better than Repair: To ensure long life as well as stain- and scratch-free status of your stone, white-hued marble sealing a must! It is basically your first line of defense that makes a barrier between the porous marble surface and things that may cause harm to the former. 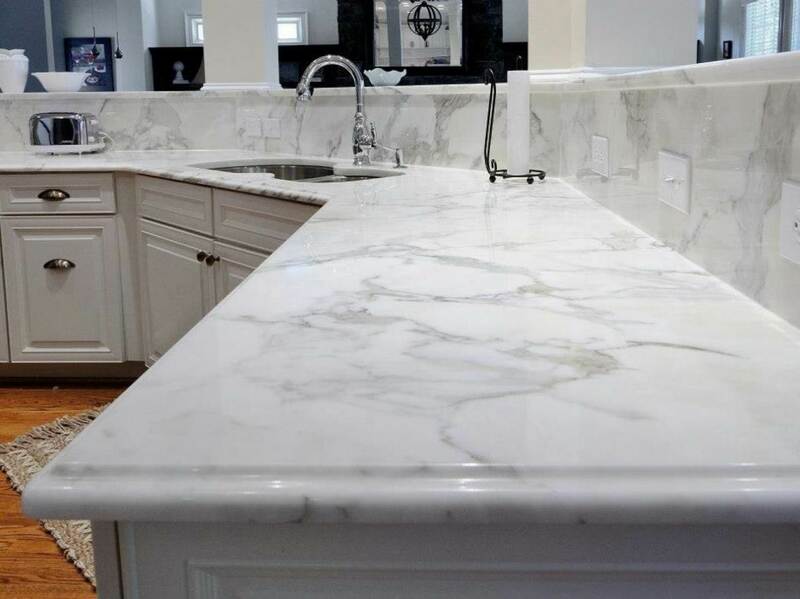 White marble countertops that are heavily used on a daily basis should be sealed 3-4 times a year, whereas less functional marble installations should be sealed at least one a year. Use of only marble-friendly sealant is highly recommended. Natural Works Well for Natural: For general cleaning and maintenance of white marble, prefer using natural cleaners that are never harsh on marble. As a matter of fact, conventional chemical-based cleaners cause more harm than good to your white marble. Always use water–based marble cleaning products that are nearly neutral on pH scale, as such products not only effectively clean the marble, but also preserve its integrity. With what discussed above, it can be concluded that Bruno White marble has some advantages as well as disadvantages. But, considering its pure natural charm and matchless elegance that it can bring into your interior decor, it deserves a respectable space in your home. All you need is to take some extra care to maintain its royal, clean looks for long.